This 15-page full-color brochure features all of Mayco's stoneware glazes and high-fire specialty products including each of the latest additions from Mayco. 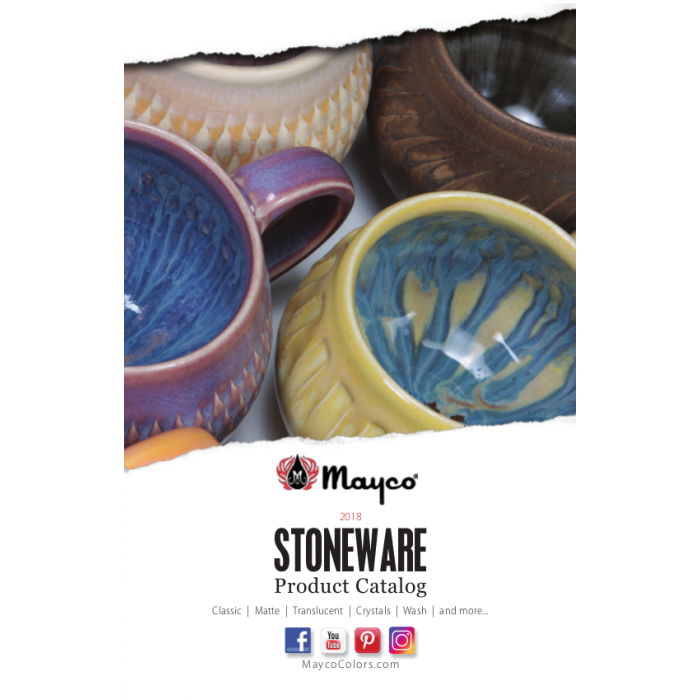 The brochure contains information regarding the use of dry Stoneware Glaze, Flux, Mayco Washes, Designer Liner and much more. Also included are examples of various Stoneware Glaze combinations and cone 10 Stoneware Glaze firing results. Brochure measures 5.5" x 8.5".